birth to 5 years old, living in cowlitz or Wahkiakum counties. THANK YOU COWLITZ ROTARY CLUBS FOR BEING Dolly Parton's Imagination Library founding SPONSOR! In 1995, Dolly Parton launched an exciting new effort, Dolly Parton’s Imagination Library, to benefit the children of her home county in East Tennessee, USA. Dolly’s vision was to foster a love of reading among her county’s preschool children and their families. The new program gave each child a specially selected book each month. 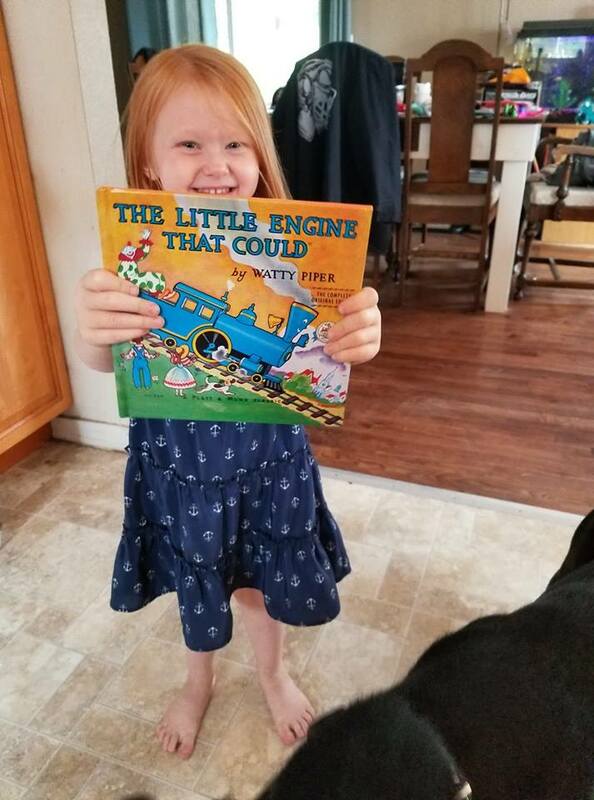 By mailing high quality, age appropriate books directly to their homes, Dolly wanted children to be excited about books and to feel the magic that books can create. Moreover, she could ensure that every child would have books, regardless of their family’s income. Dolly Parton’s Imagination Library is a 60 volume set of books beginning with the children’s classic The Little Engine That Could™. Each month a new, carefully selected book will be mailed in your child’s name directly to your home. Best of all it is a FREE GIFT! There is no cost or obligation to your family. Preschool children ages birth to five who are residents of Cowlitz or Wahkiakum Counties! 3. Notify United Way of Cowlitz & Wahkiakum Counties ANY time your address changes, or update your address with your user ID. Books are mailed to the address listed on the official registration form, books are NOT forwarded. When will I recieve books? Eight to ten weeks after your registration form has been received, books will begin arriving at your home and will continue until your child turns five or you move out of the County.